Remember the last time you asked for a budget approval from your boss? Or a few hundred euros more on your monthly paycheck? And what about the time that you got a brilliant idea and tried to get people buy into it? If you normally get what you want, fabulous! You can turn the page right away because evidently there’s nothing new that you’ll learn from my article. But if there are times when you ended up frustrated by not getting the support you need, or worst still, if you stopped trying to push your ideas through because you can’t face yet another rejection, let’s see if I can give you some fresh hope! The reality is that even if the word ‘sales’ is not part of your job title, you always sell. Whether asking your boss for a new headcount or asking your partner to join you on a sightseeing trip to Afghanistan, you always sell! And so you might as well understand how this works and test some of my tips to increase your chances of getting peoples’ buy-in. 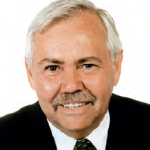 So how do you convince someone to do something, to change their opinion or behaviour or simply make them quit wearing that bright orange tuxedo to your board meetings? Let’s first consider what motivates people and drives their decision making. You may believe in the power of logical reasoning and why not? After all, giving people all the facts and reasons for why they should do what you’re asking them to do is… well, logical. But then, have you ever wondered why people give you blank stares when you talk excitedly about the ins and outs of your fabulous solution? Or when you take them through an impressive set of data, facts and figures to back up your latest research? Let’s talk about the super machine that we all possess and that resides inside our scull, our brain. I don’t pretend to be a neuroscientist of any kind, but I know enough to understand what triggers people. And that’s what we need to know if our persuasion efforts are to come to fruition. The reptilian brain, that’s the oldest of the three. It controls our body’s vital functions such as heart rate, breathing, body temperature and balance. Its prime concern is our survival and our reproduction. The reptilian brain neither feels nor thinks – it simply reacts. When we’re under threat for instance, it mobilizes the body – that’s our fight-flight-freeze response to stress. 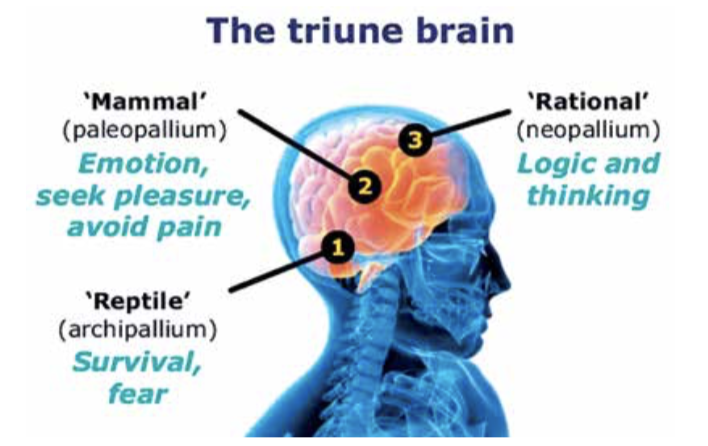 The emotional (limbic) brain is the ‘feeling’ part of the brain. It records memories of behaviours that produced agreeable and disagreeable experiences; it connects these experiences with emotions, associating feelings to specific people, things or events. The emotional brain is the seat of the value judgments that we make, often unconsciously, that exert such a strong influence on our behaviour. The neocortex is the most ‘recent’ addition to our brain. It’s our two hemispheres. The left hemisphere, our left brain, which operates around language. It’s more analytical, and orderly than the right brain. It’s better at things like reading, writing, and computations. It’s connected to logic, sequencing, linear thinking, mathematics, facts and thinking in words. It’s the part of the brain that makes decisions in a rational way. Then, there’s the right hemisphere – our right brain – which is more visual, intuitive and creative – thinking in a more symbolic manner. It has a more creative and less organized way of thinking. It’s connected to imagination, holistic thinking, intuition, arts, rhythm, nonverbal cues, feelings visualization, daydreaming. This is good to know. Because when you’re talking to someone trying to convince them of the brilliance of your idea, you’re essentially talking to the person’s three brains. The decision that the person will make about you, your idea or your solution is largely based on what ‘feels’ good to them rather than what the most logical thing to do is. Rational argumentation has its value, no doubt (the neocortex will applaud you with excitement!) but unless you tap into the depth of the person’s subconscious, appealing to the other parts of the brain, your persuasion efforts may come in vain. Here’s eight ways to leverage the power of the subconscious and increase your chances to get people to say yes! 1. Appeal to peoples’needs and hidden emotional desires: People don’t care so much about you or your idea (nothing personal), they care about how your idea can make their life better; how it can alleviate their pains or give them something that they need, want or secretly desire. Appeal to their emotions, because logic alone won’t do it. Don’t make it about you or your idea, make it about them! 2. Paint a positive picture of the future: Talk about how their decision will lead to a positive outcome, to a bright new future. Make them see themselves in the future and feel what they’ll feel once they get there. 3. Calm down their emotional & reptile brains: Careful with what you say and how you say it (and how you look when you say it)! Because you don’t want to trigger the ‘reptile’ response. If people perceive you (or your idea) as a threat, you can forget about getting their buy-in. Instead you’ll get either a defensive reaction (FIGHT), or a polite smile and sudden change of topics (FLIGHT), or no reaction at all (FREEZE). 4. Make them feel safe: Propose a concrete solution, a clear path to follow. This makes people feel more secure about the new direction in which they’re heading. People also respond well when they believe an idea was theirs in the first place. Let them know it was them that gave you the idea. 5. Link your idea to the person’s deeper values and beliefs. If they think it fits with the kind of person they are or they want to become they’re more likely to go along with it. 6. Show enthusiasm and passion. Because they are contagious. Let your passion for your idea shine through and people will feel as excited about it as you are! 7. Show them that ‘you can’ and that ‘you care’: To say yes, people need to perceive you as someone who cares, is competent and trustworthy. Read my article ‘Your Body = Your Story’ to learn more about managing the signals you transmit by your presence. 8. Align your body & voice & words: You always want to make sure that your body language and voice tone match the words that you say. Subconsciously, people will pick up any incoherencies and will perceive uncertainty and lack of conviction from you. And the result? They won’t buy. Next time you’re about to embark on a rally to persuade others, put these simple tips to the test. If you do it well, your success is (almost) guaranteed. It would be a great shame if you and your brilliant ideas didn’t get the chance they deserve just because you hate sales…. Alena assists business leaders all over Europe in developing a powerful personal presence on and off- stage, and delivering presentations that get people’s buy-in and inspire action. She also acts as a mentor for startups helping them design and deliver winning business pitches. She has a professional background in sales, marketing and communication in a variety of sectors including IT, travel and tourism, wellness and beauty. She lived and worked in 5 different countries in Europe and Asia. In collaboration with Presenation.com, she coached the X.GLU Czech Team to win the world title at the Microsoft Imagine Cup in 2017. 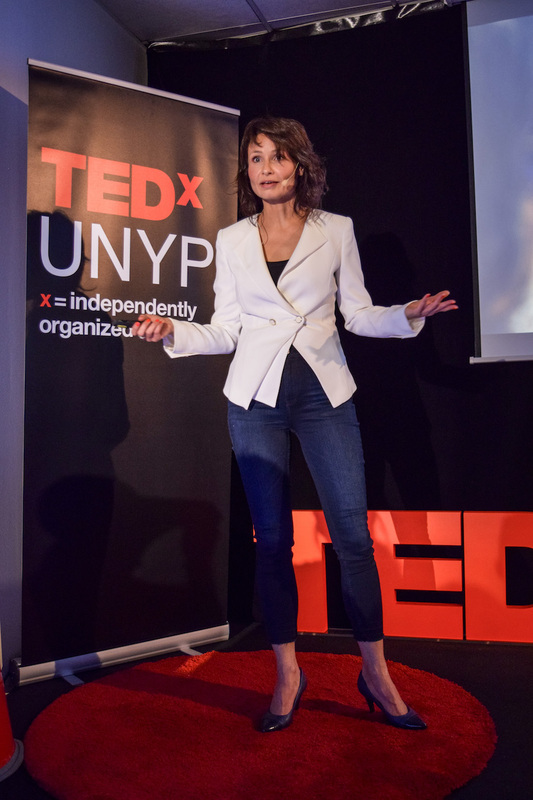 Alena’s other achievements include being a speaker at the TEDx UNYP 2017 conference and winning the second place in the 2017 Czech National Championship of Public Speaking.